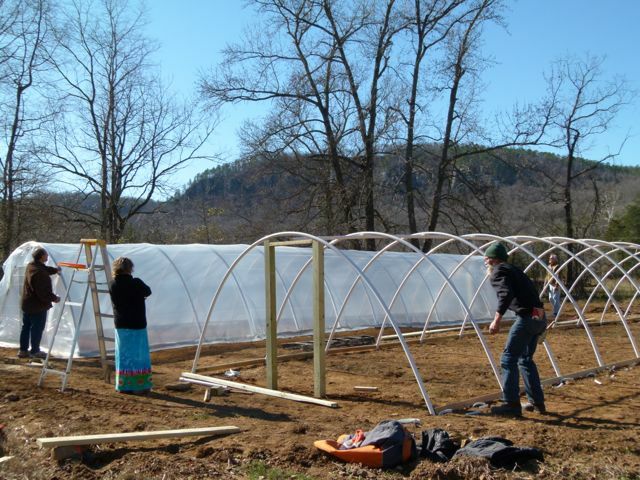 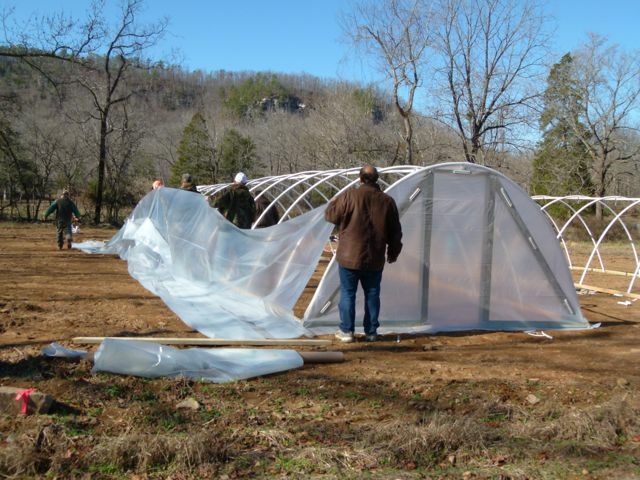 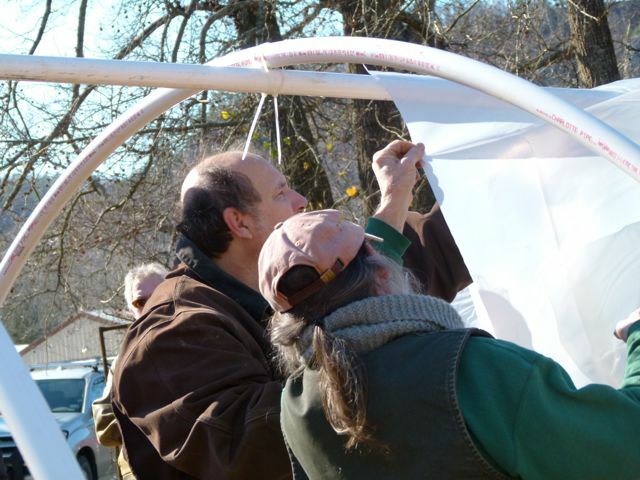 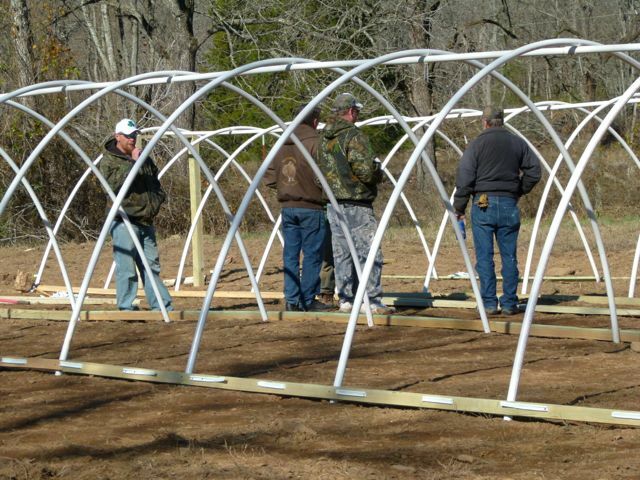 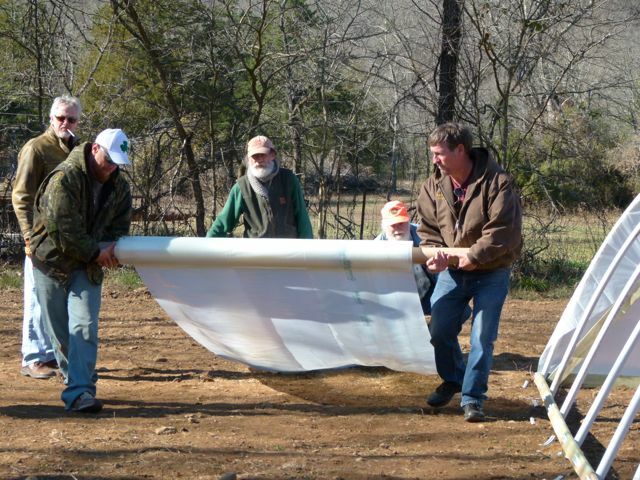 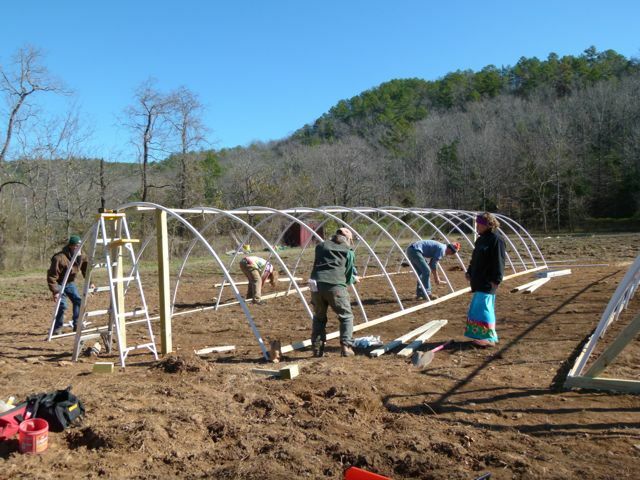 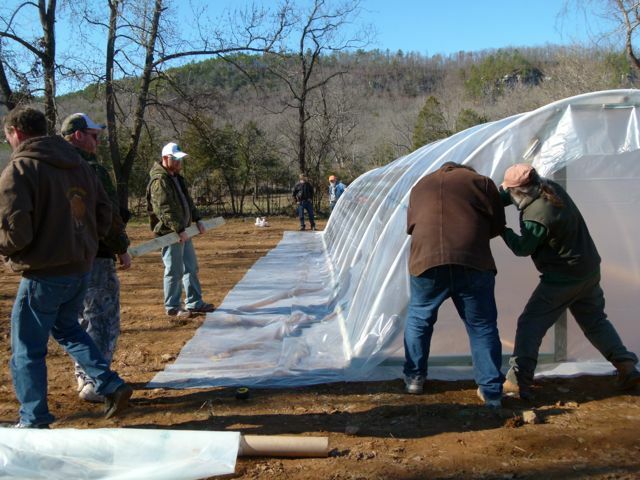 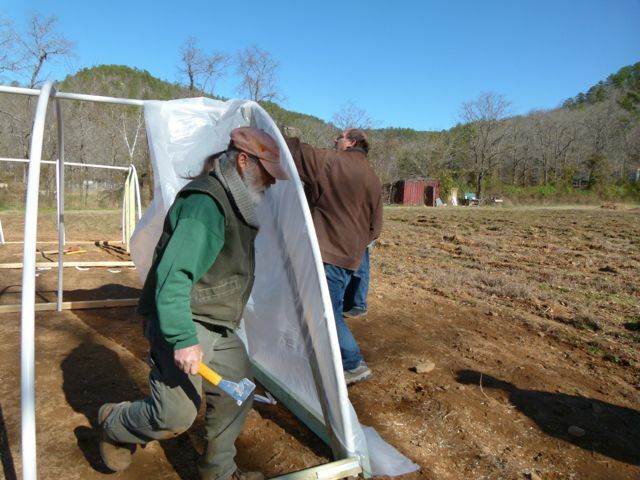 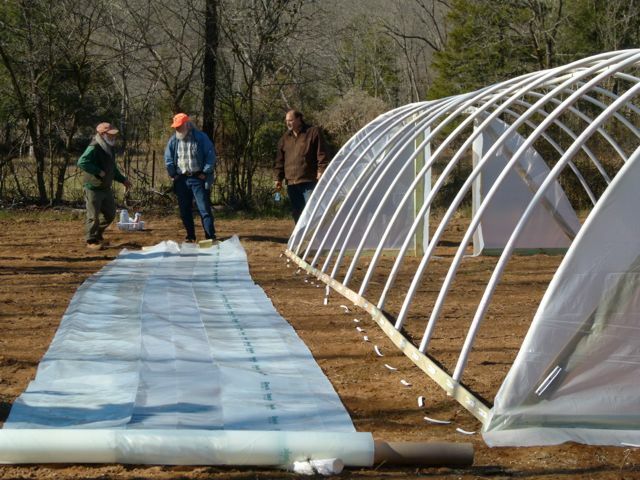 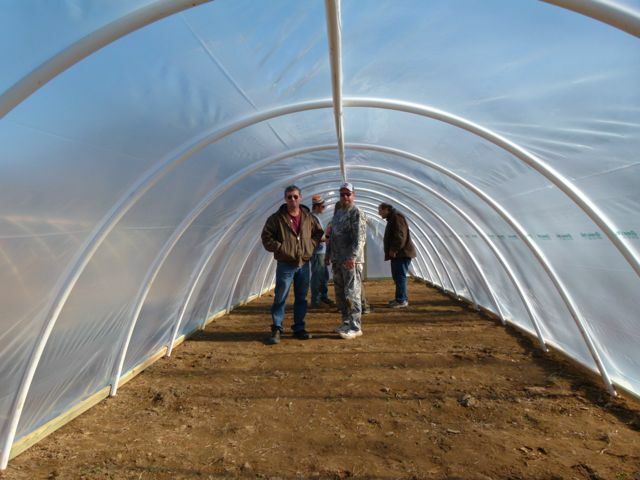 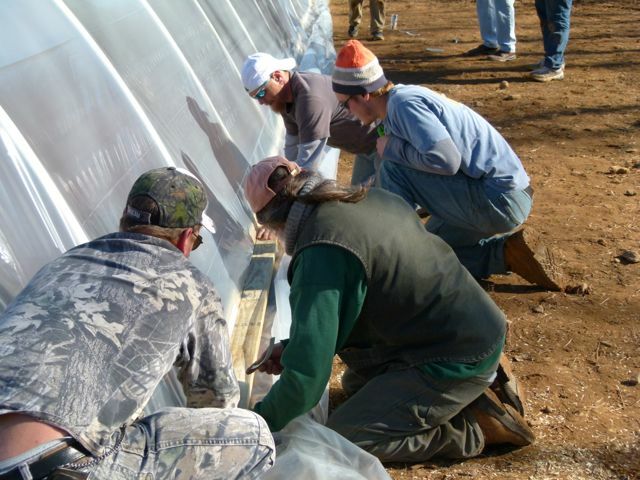 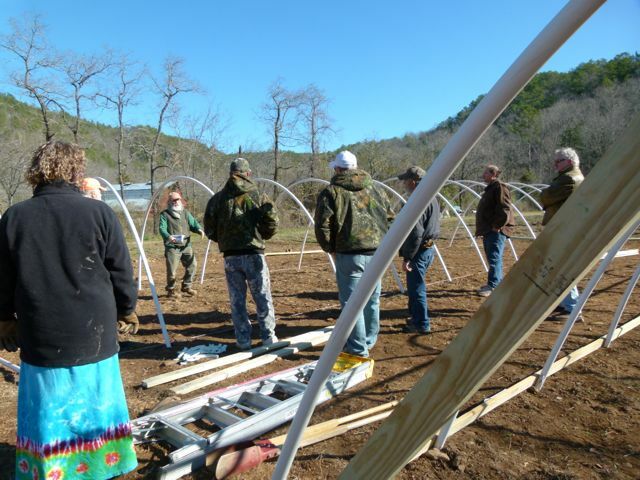 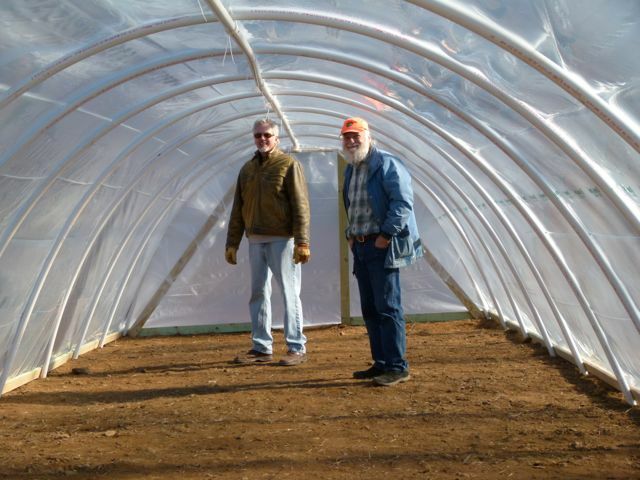 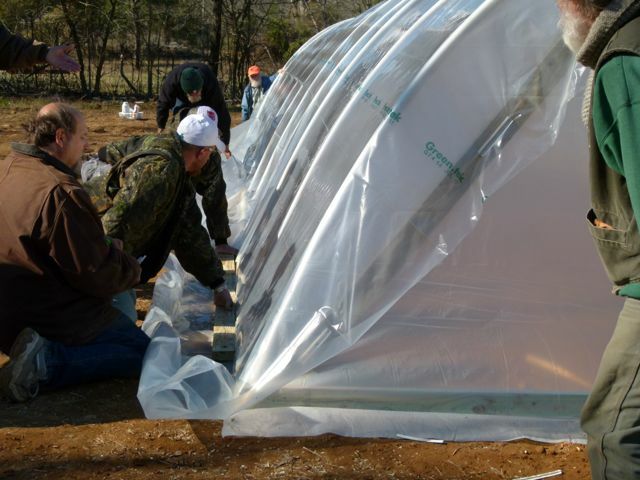 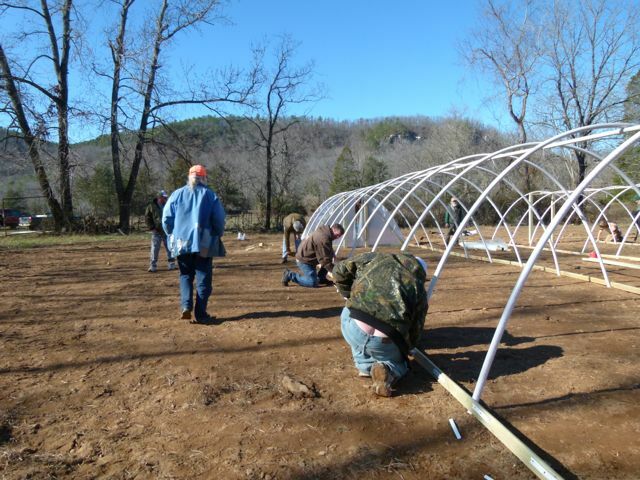 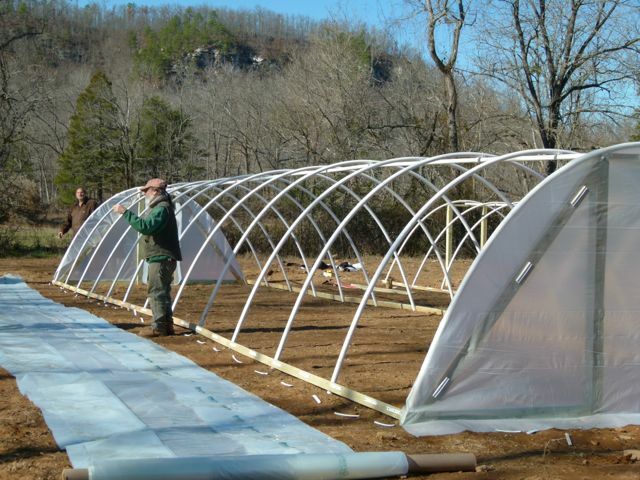 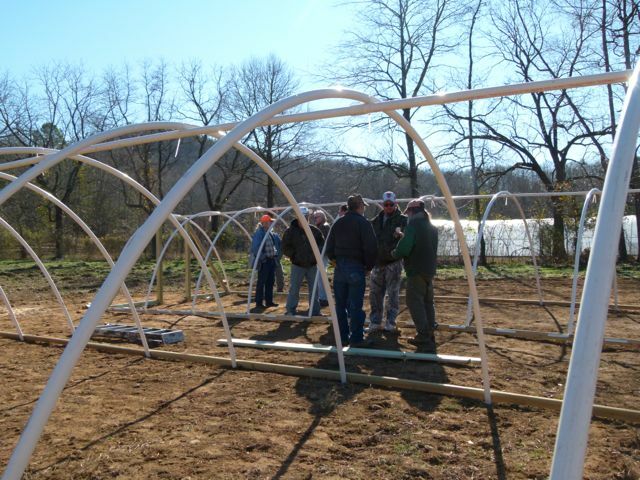 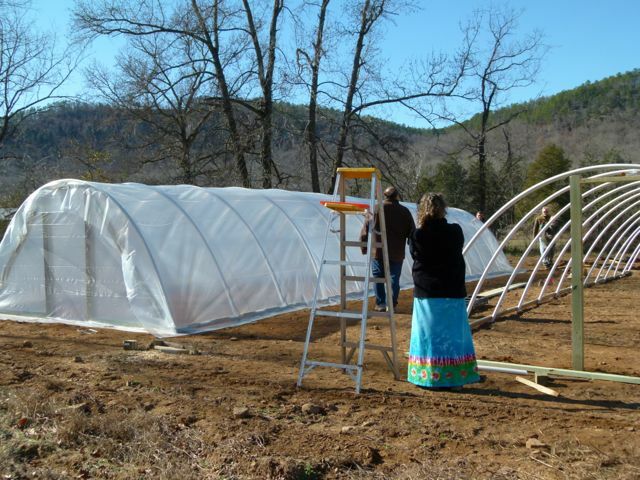 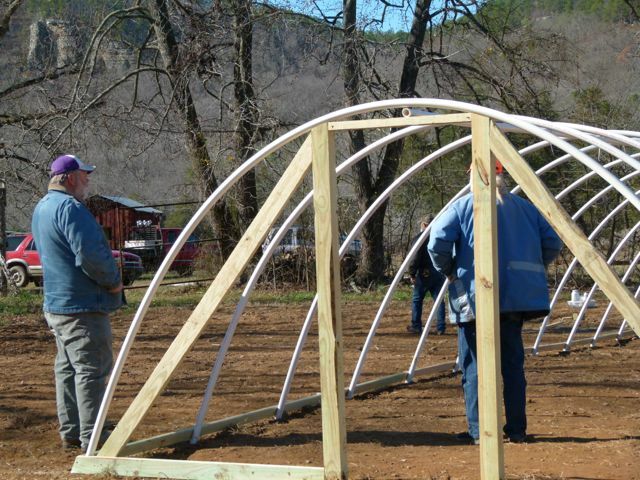 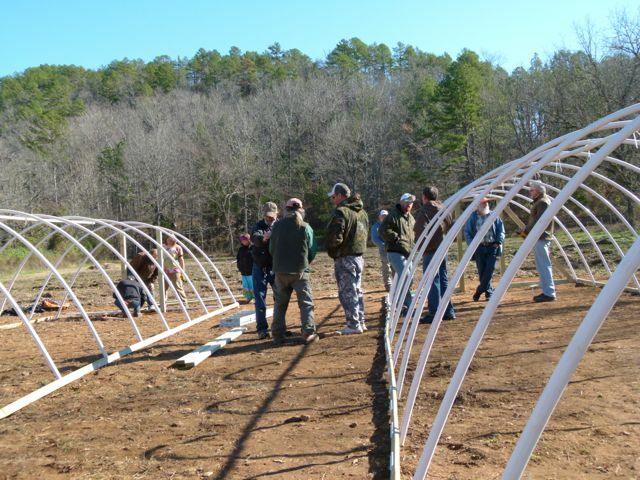 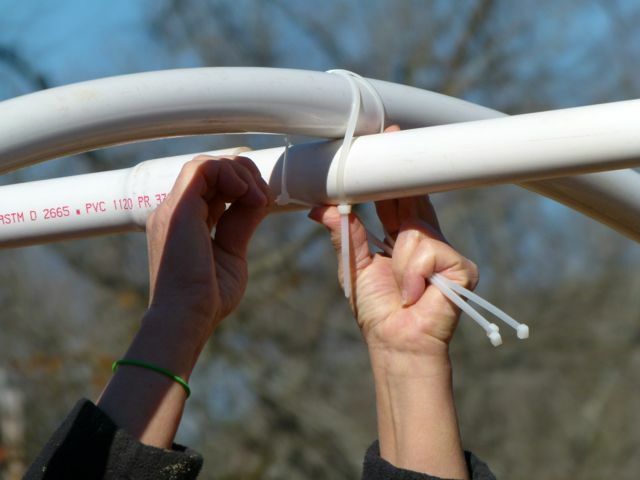 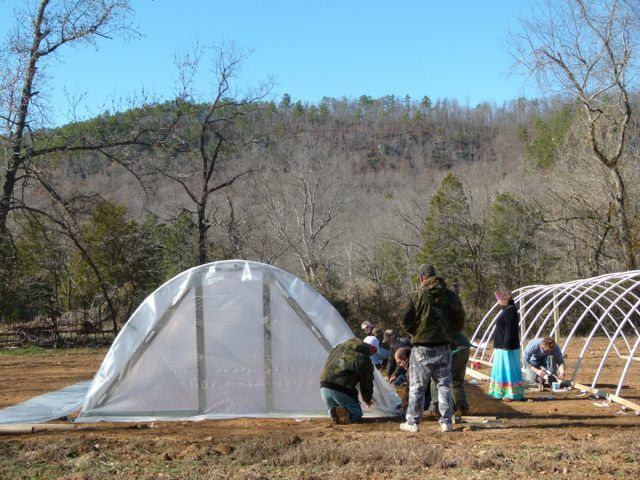 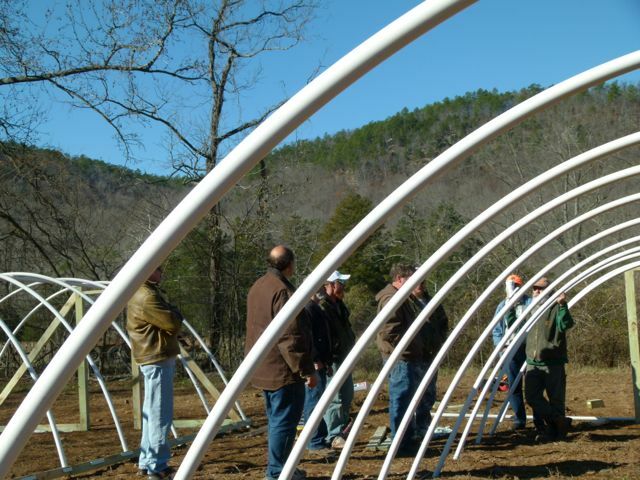 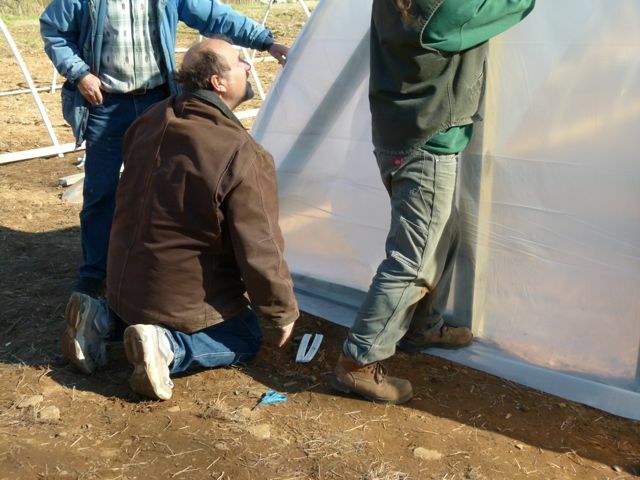 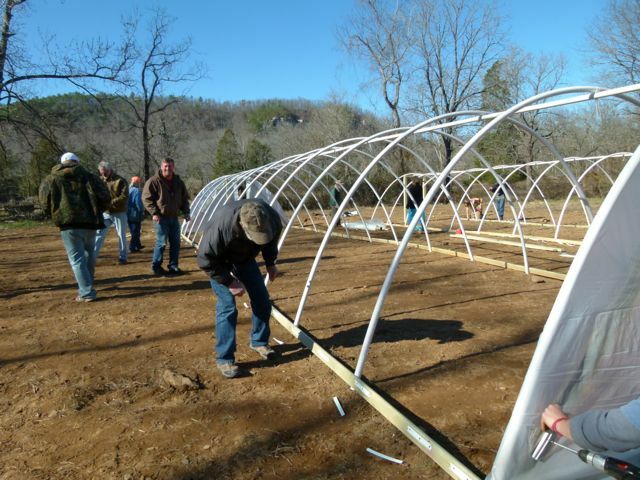 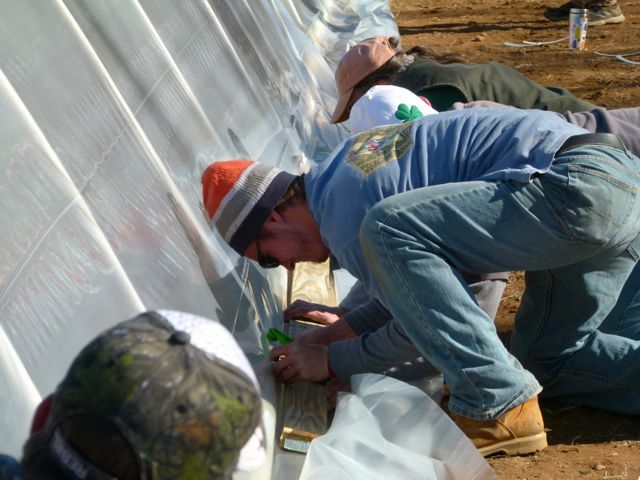 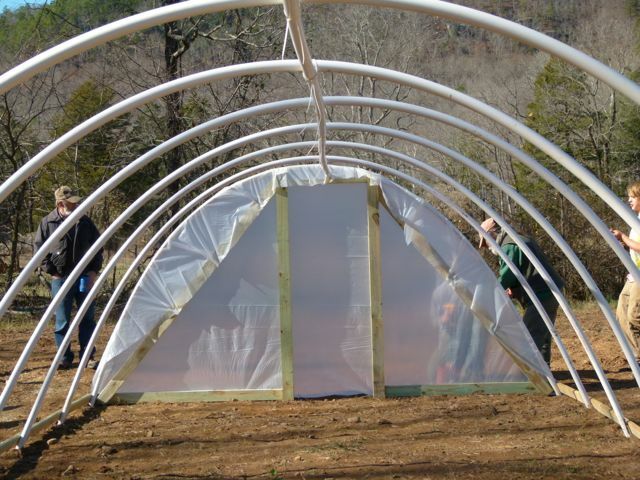 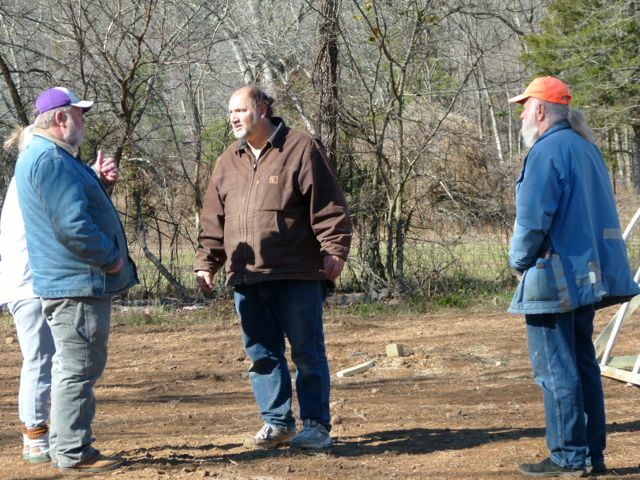 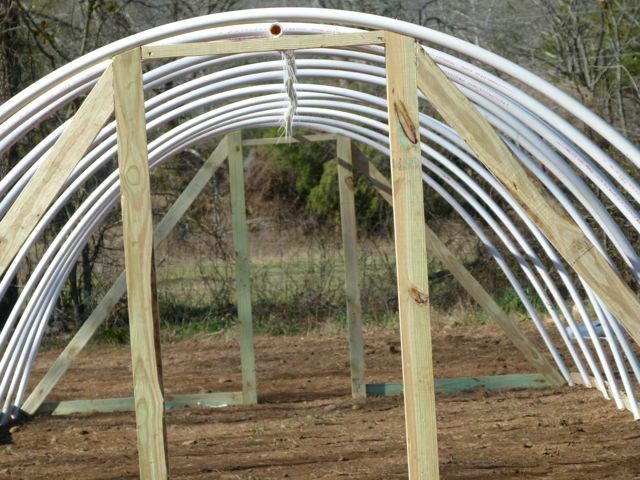 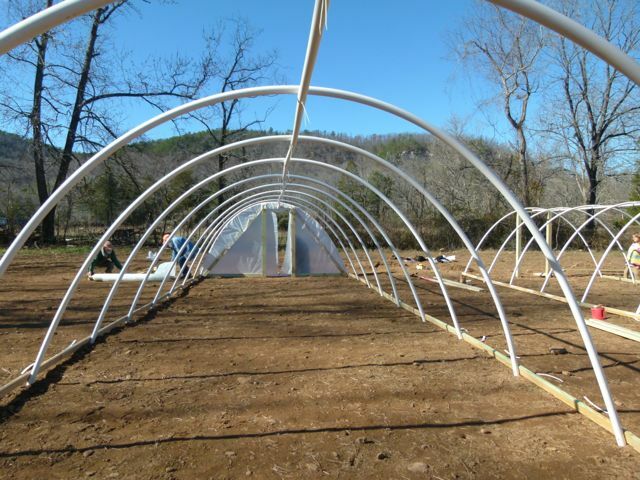 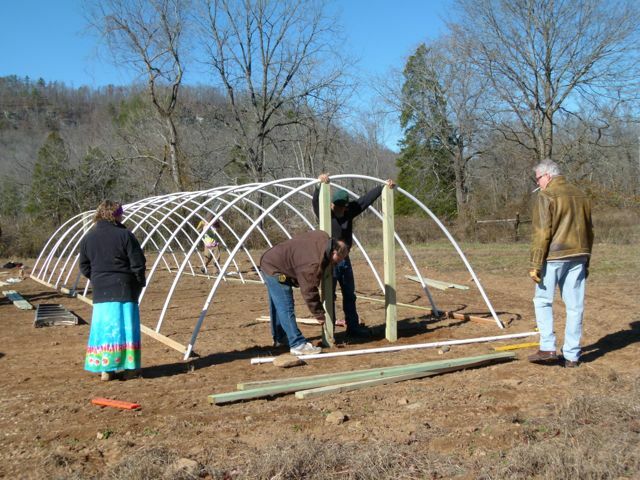 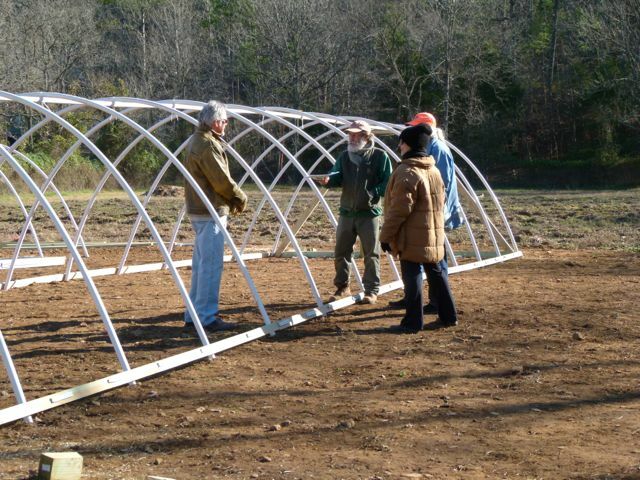 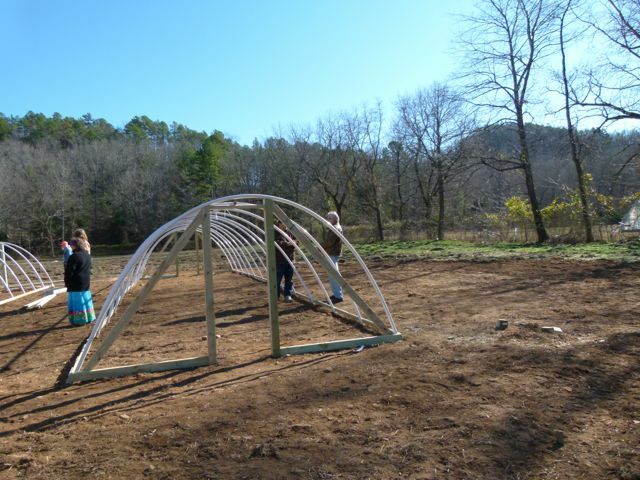 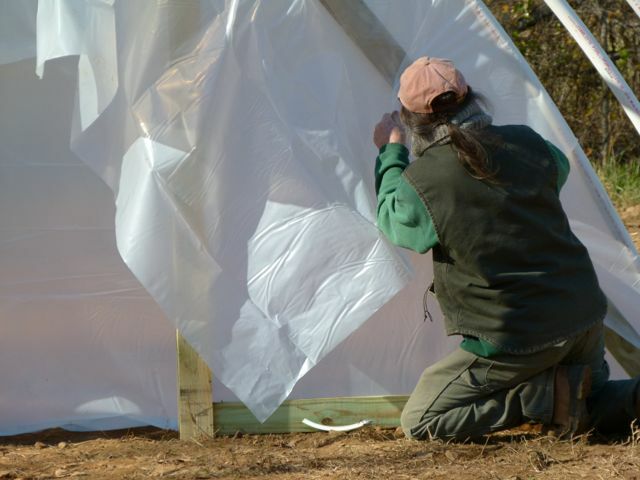 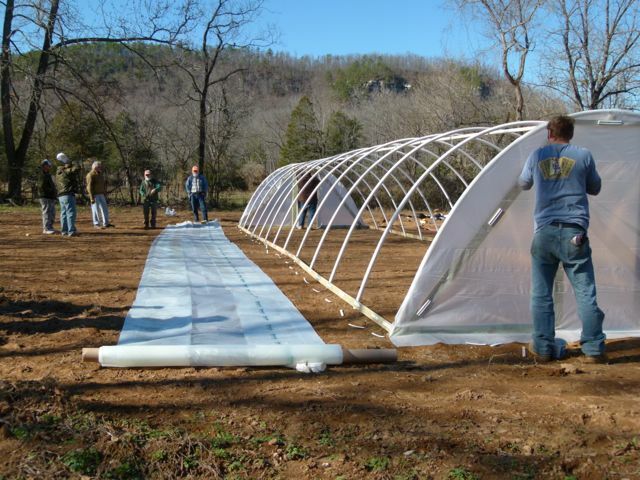 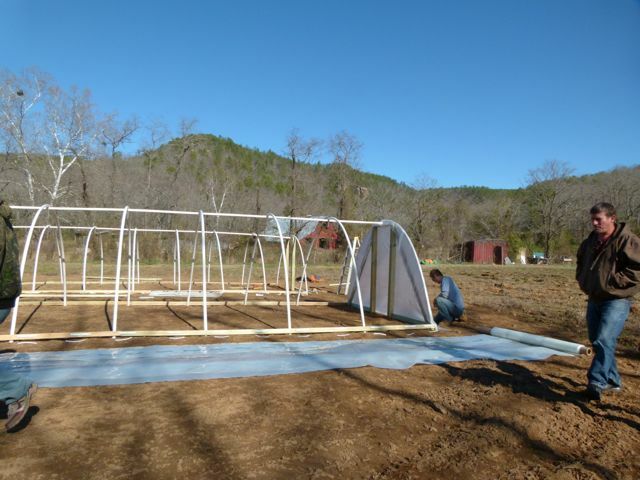 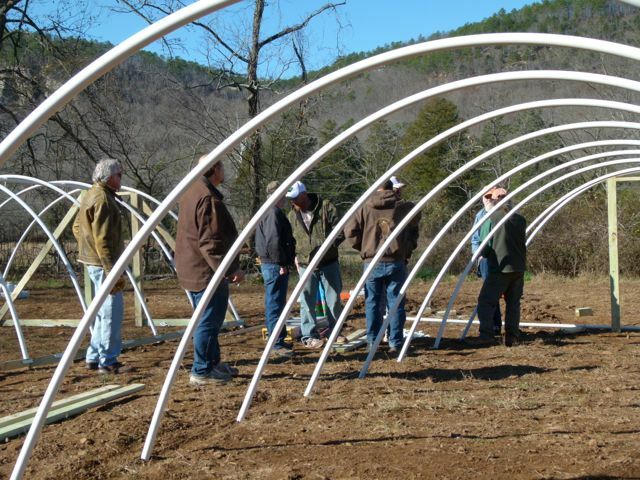 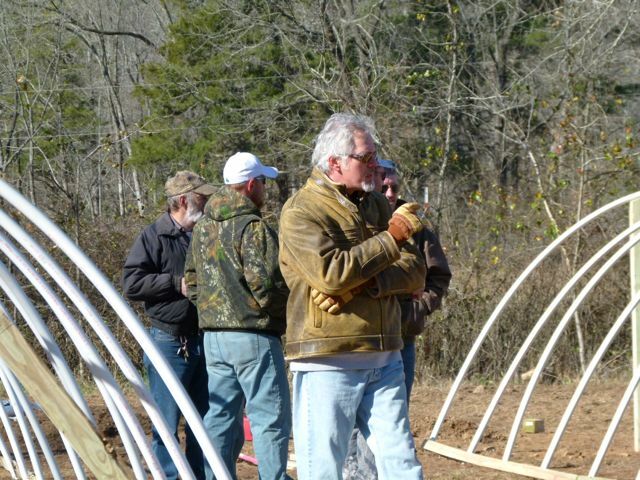 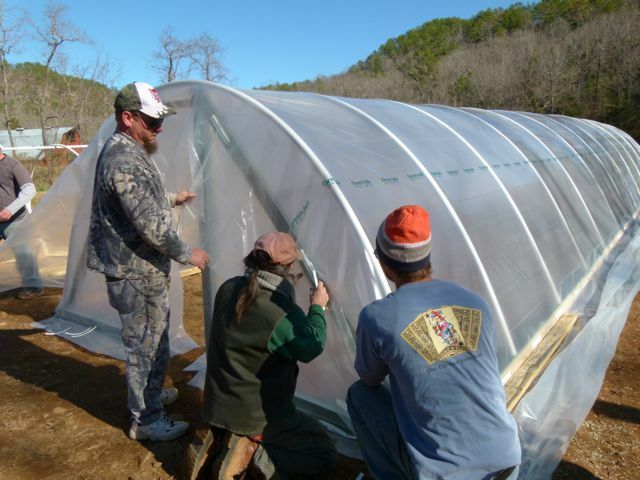 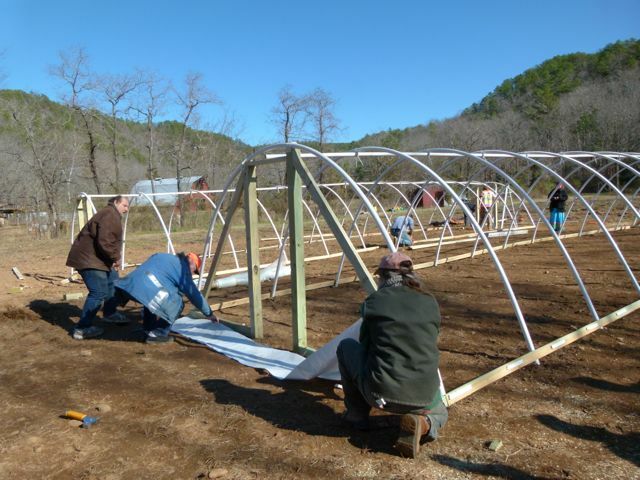 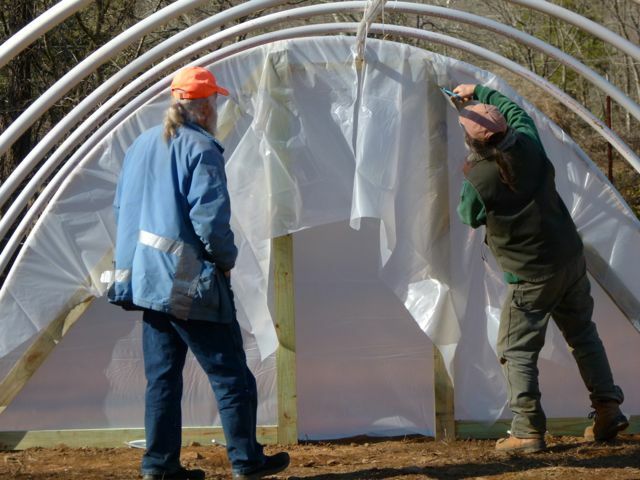 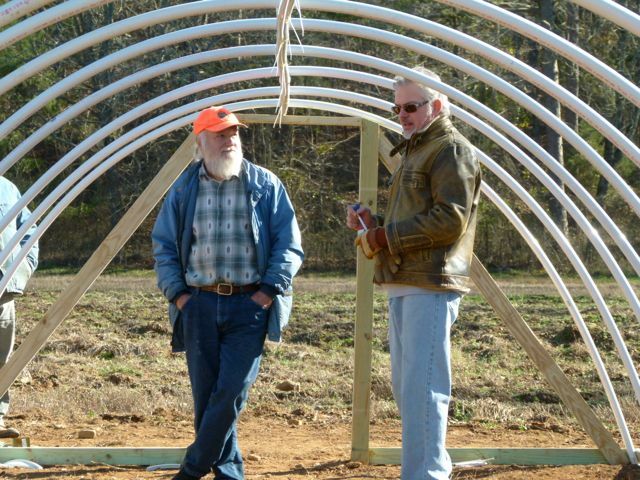 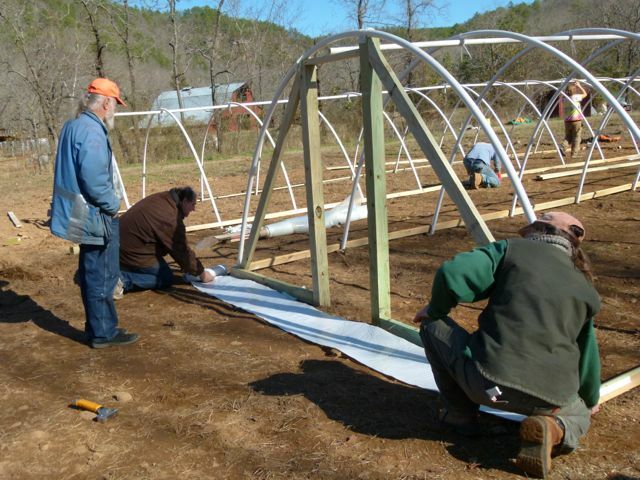 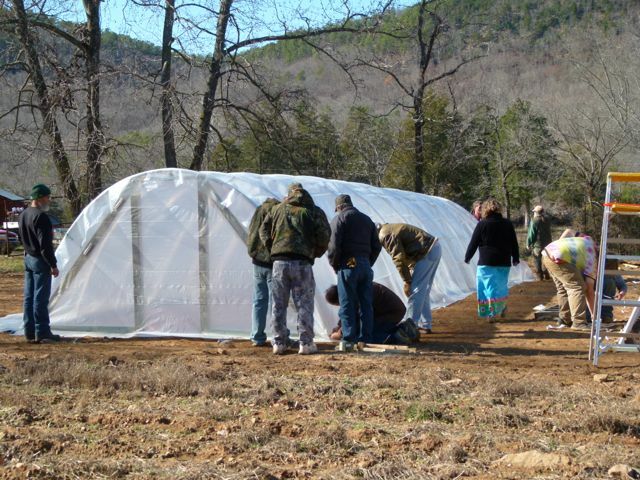 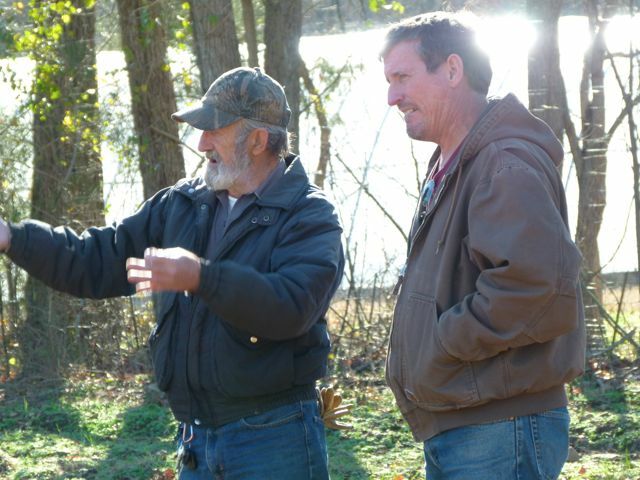 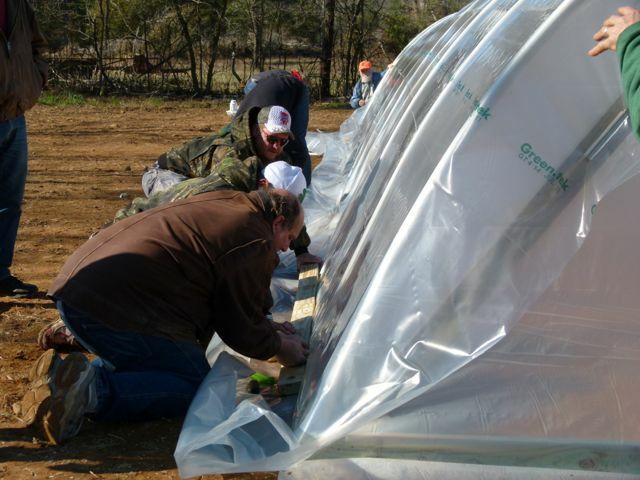 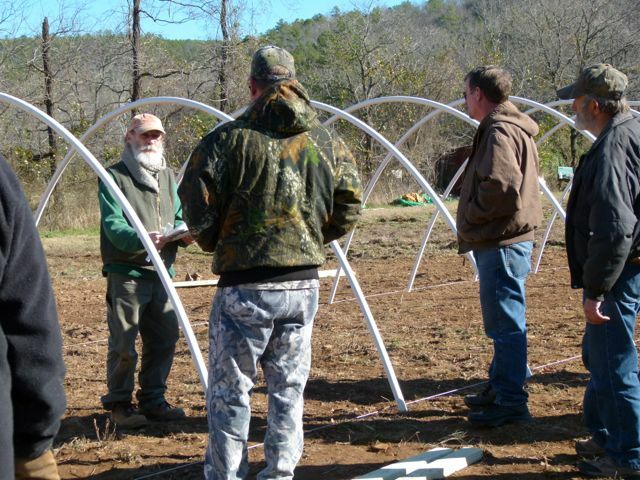 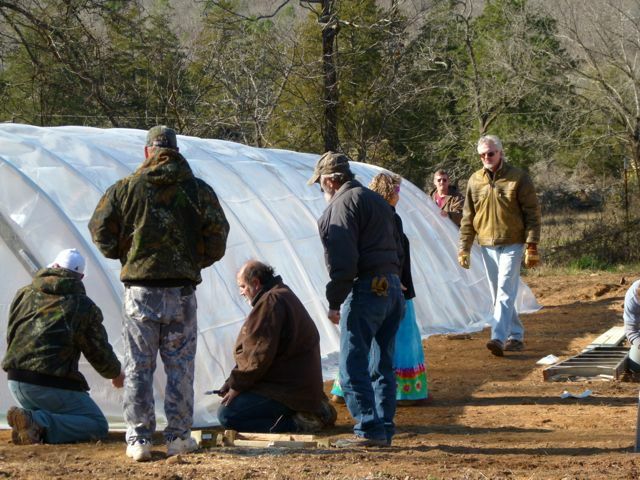 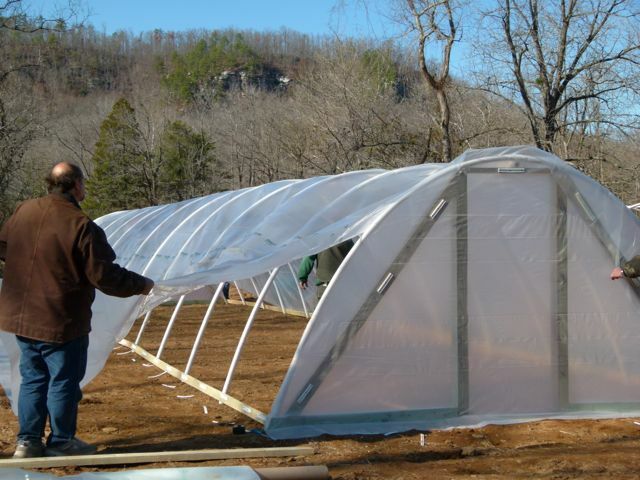 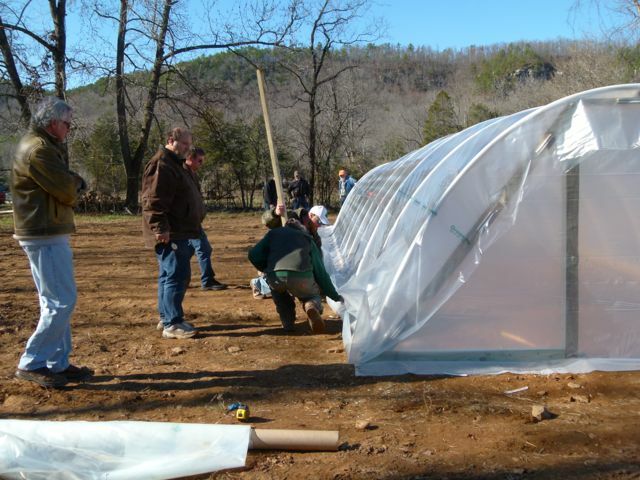 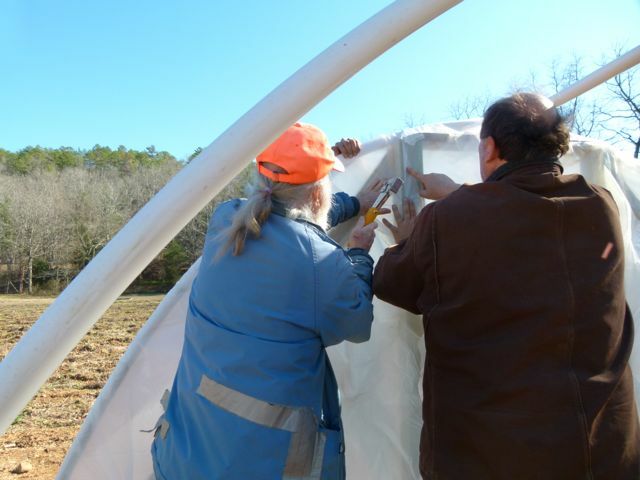 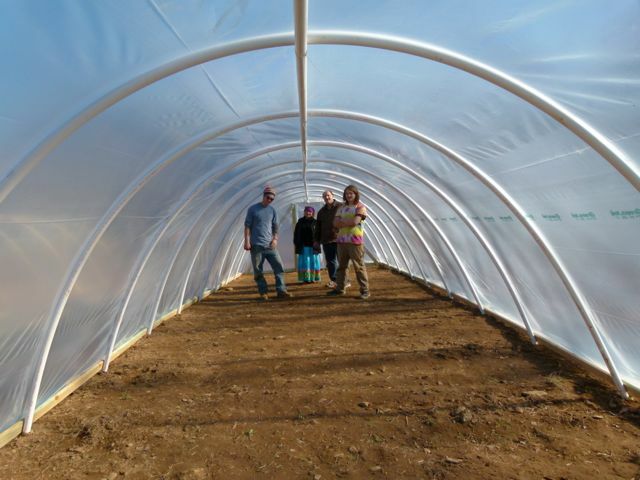 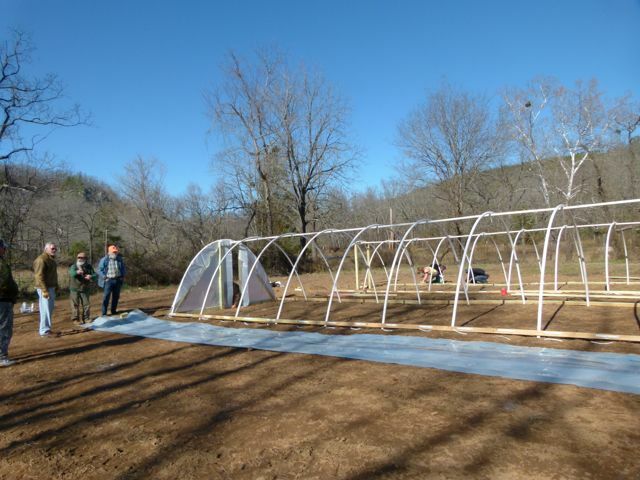 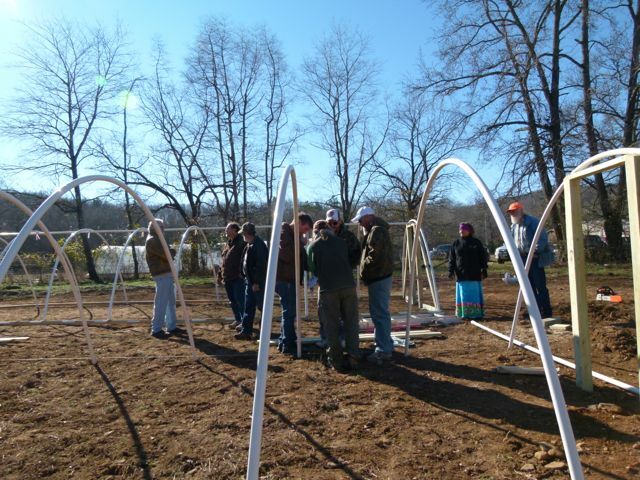 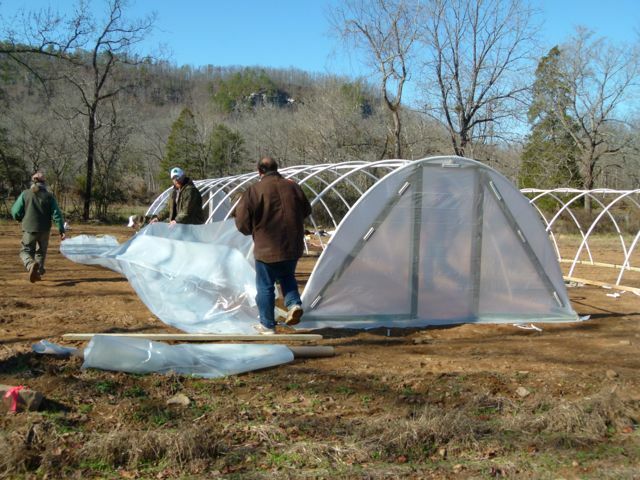 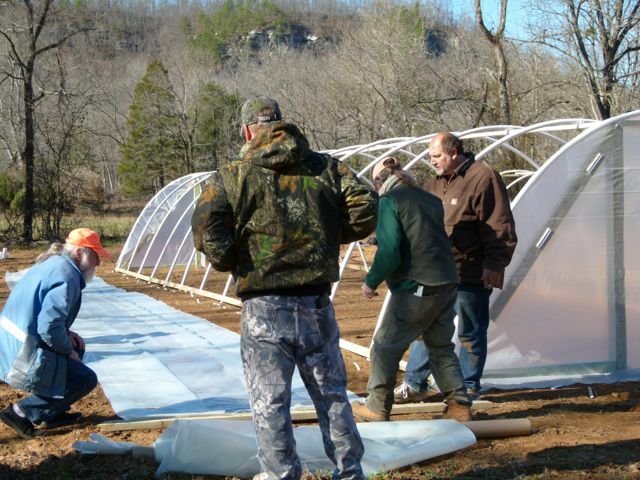 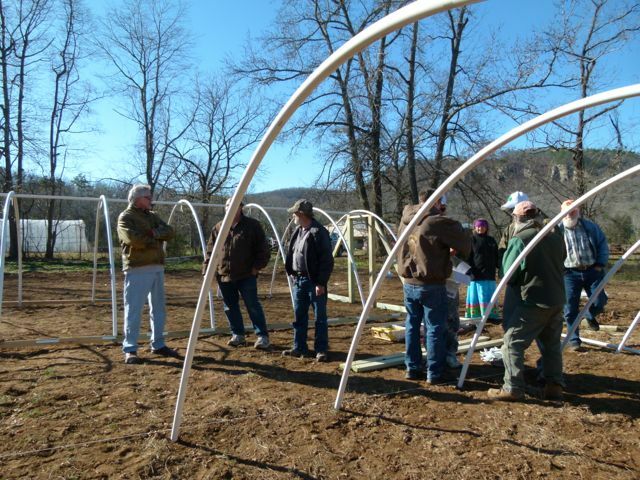 Erected during our first, two-day workshop at Meadowcreek, Suzanne Day’s cold frame will result in a new CSA for Stone County. 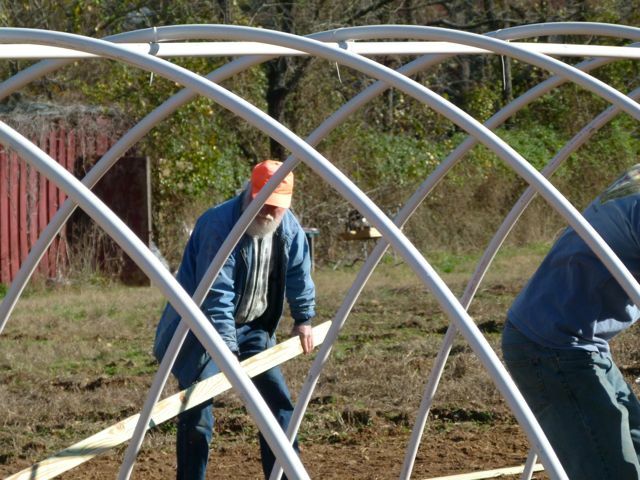 For those who are not familiar with the term, CSA, it’s an acronym for community supported agriculture…or, in simpler terms…garden shares. 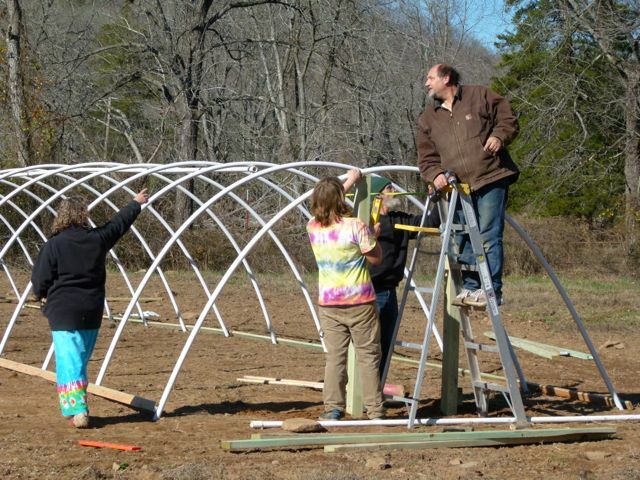 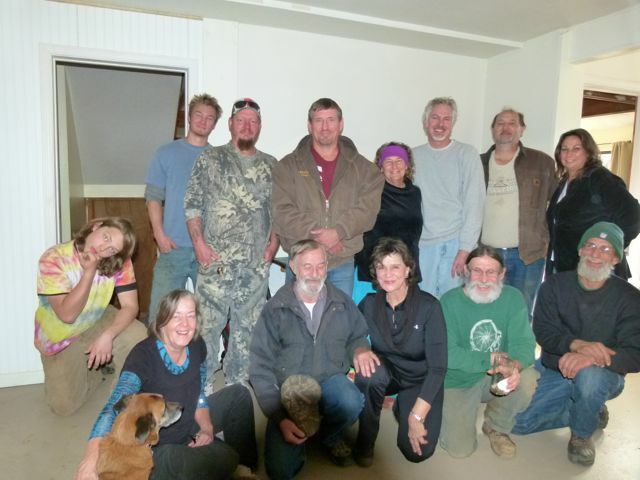 Suzanne will partner with neighbors and fellow gardeners, Debbie and John Hermansen, to offer garden shares to customers who will pay in advance for the season’s harvests and receive a weekly basket of produce. 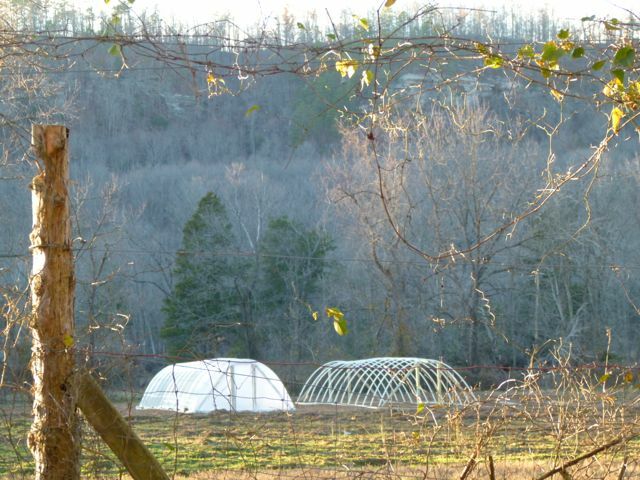 Suzanne’s life at Meadowcreek revolves around her animals and gardens. 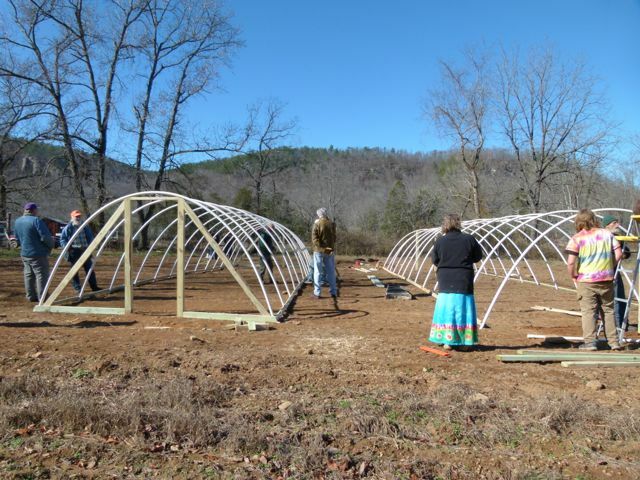 She has katadin sheep raised for both breeding stock and for meat, and chickens, raised for their eggs. 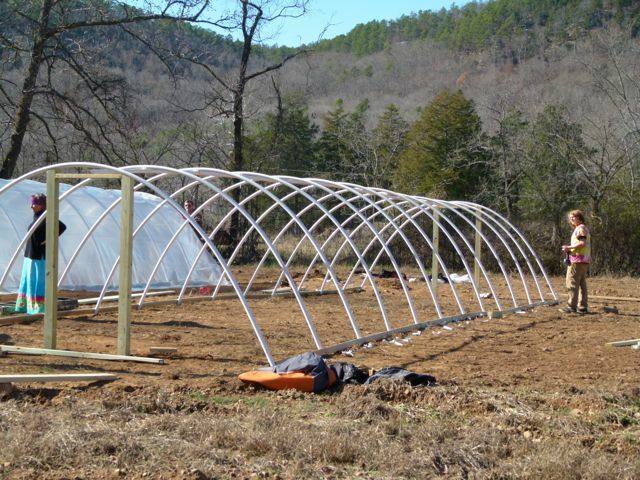 Her garden beds keep her busy along with a smaller cold frame near her house where she raises her own winter vegetables and greens. 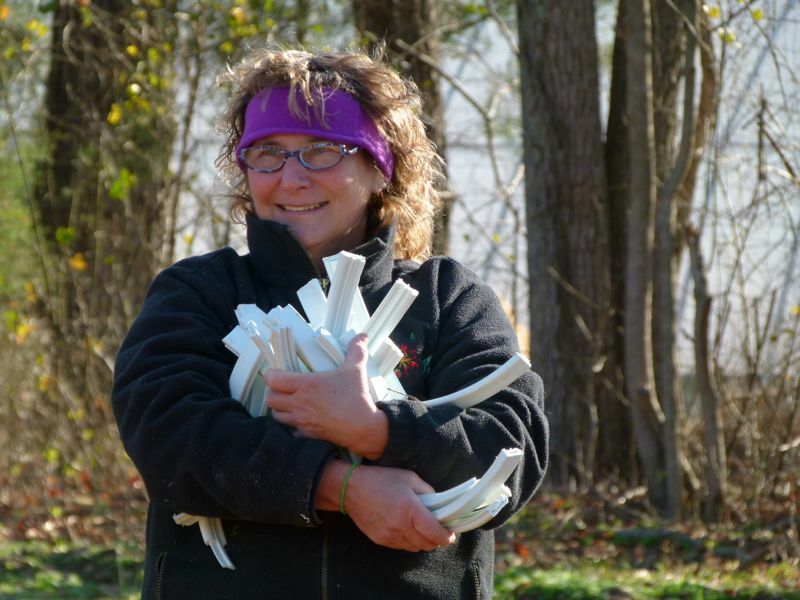 Suzanne also raises shitake, lion’s mane and oyster mushrooms and has inoculated some 45 logs for future harvest. 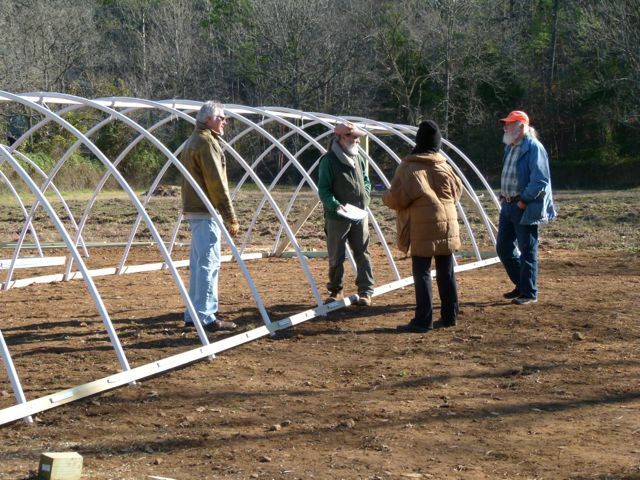 Suzanne’s very enthusiastic about her new cold frame and being able to offer fresh, excellent quality, organic food shares in the near future. 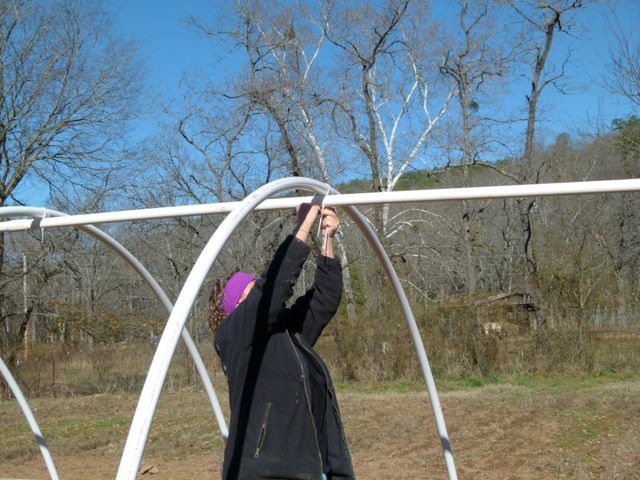 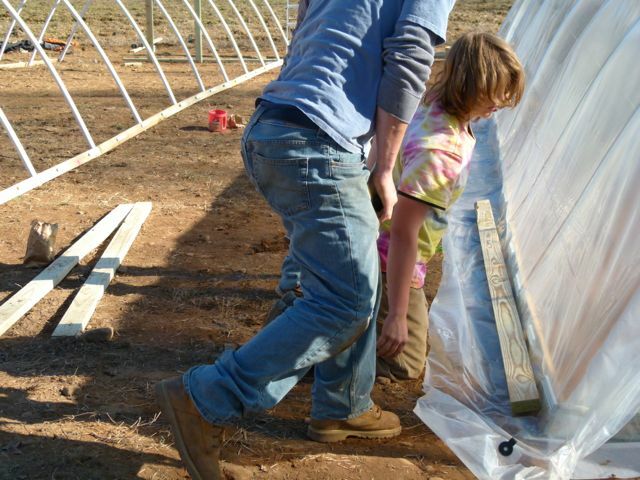 Here we are erecting Suzanne’s cold frame!